What are your goals in handball going forward: I’m all about the past. Resting on laurels. How will you prepare for Houston: like Paul Brady… I choose not to reveal my training secrets. What do you love about handball: I love all things about Handball equally as much or equally as little depending on how you look at it. How would you describe your game: I do the best I can. What is your best shot: Tequila! Given the choice, what top SR48 would you most like to play: did anybody else answer this question? Nearly two years after being inducted into the Hall of Fame, John Bike, Jr. continues to achieve greatness in the sport he dominated in the late 1980’s and early 1990’s. During the inaugural WPH Senior Race 4 Eight season, Bike captured SR48 Player of the Year honors for his consistency throughout the season. Bike also defied Father Time by qualifying on the Race 4 Eight tour at the age of 46. Bike was the number one ranked handball superstar in the world before passing the torch to the precocious David Chapman in 1993. Bike was one of the few players to excel at 4-Wall, 3-Wall, and 1-Wall, winning pro national singles and doubles titles and world singles and doubles titles in 4-Wall, pro national and doubles titles in 3-Wall, and nearly winning a 1-Wall pro singles national title. Bike was born and raised in Connecticut and graduated from the University of Texas at Austin where he met his coach, fellow hall of famer Pete Tyson. Bike married Lupita Alvarado, creating the Alvarado-Bike royal handball family. The Bikes and Alvarados reside in Spring Valley Lake, CA and are rarely more than one mile apart. Bike teaches the second grade and credits the daily routine of working with kids in keeping his mind sharp and creative and allowing him to still feel like a kid. Bike keeps his game sharp by sparring with his brother-in-law and current #4 ranked WPH R48 pro Naty Alvarado, Jr., his son John A Bike, as well as master’s national champion Chris Watkins. The Alvarados and Bikes run the Simple Green U.S. Open, one of the best handball tournaments in the world and Bike’s all-time favorite event. Bike serves on the tournament committee, works the event as the head referee, and plays in the pro doubles. Bike considers his most important tournament victory to be the 1997 world singles title over David Chapman and his most satisfying win to be the 2003 USHA pro national singles over Tony Healy. 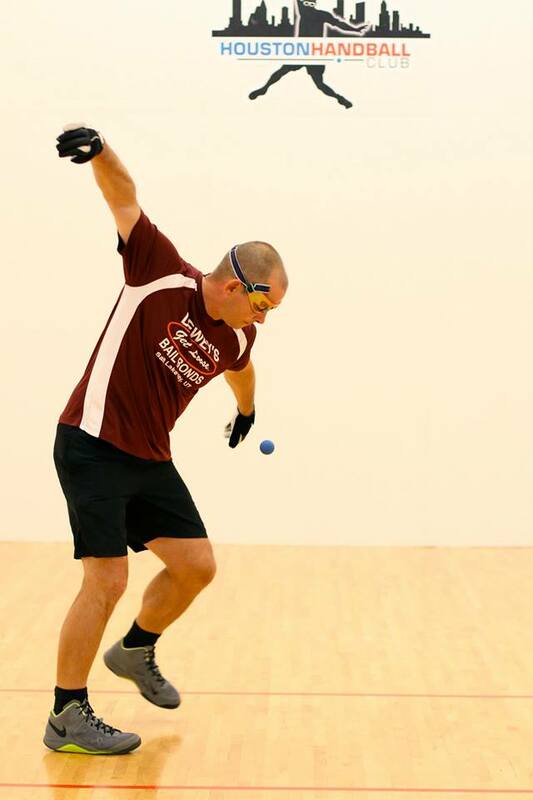 Bike has been playing handball for 35 years and has one of the greatest handball minds in the history of the sport. Bike is one of the finest handball instructors in the world, adept at noticing the slightest imperfections of any swing and being able to offer constructive advice. As humble as he is great, Bike states his goals for the upcoming Senior Race 4 Eight season to simply play matches without incurring serious injury. Bike keeps his training regimen very secretive but rest assured that he is preparing himself for the upcoming season. The WPH is very proud to have John Bike as one of its ambassadors and top Senior Race 4 Eight players. Tune in to race4eight.com all season to watch John Bike and the rest of your favorite Race 4 Eight and Senior Race 4 Eight stars.